Beckett Boutique | King Street, Charleston, SC » Summer Citrus Finds so good you could SQUEEZE them! Summer Citrus Finds so good you could SQUEEZE them! Is there anything more refreshing than zesty Citrus fruit in the hot summer months? Taking inspiration from oranges, lemons, limes, and even grapefruits, this season’s hottest trends are definitely good enough to eat. 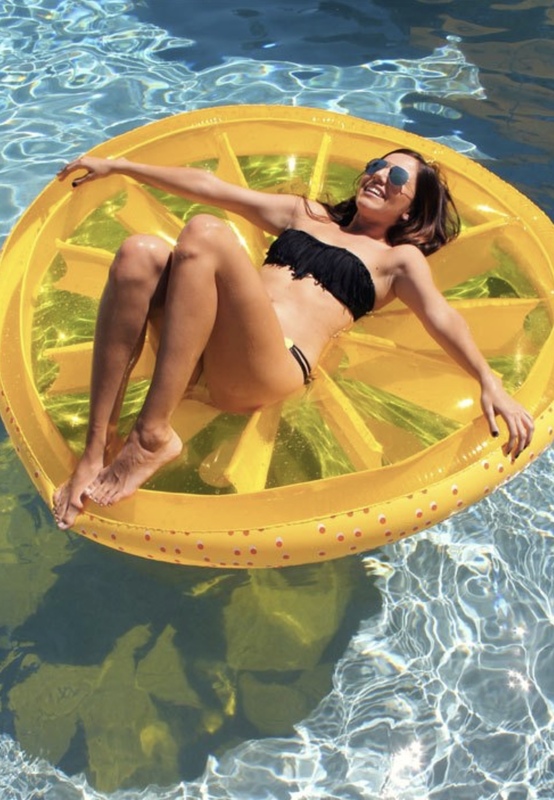 Stylish citrus shades are packing a punch when it comes to hot summer fashion, and everything from posh pool floats to embroidered espadrilles are full of zing. Here is a round up of our fave fruity finds sure to liven up your 2018 summer. Mixing shades of yellow and peach is playful and a little unexpected. 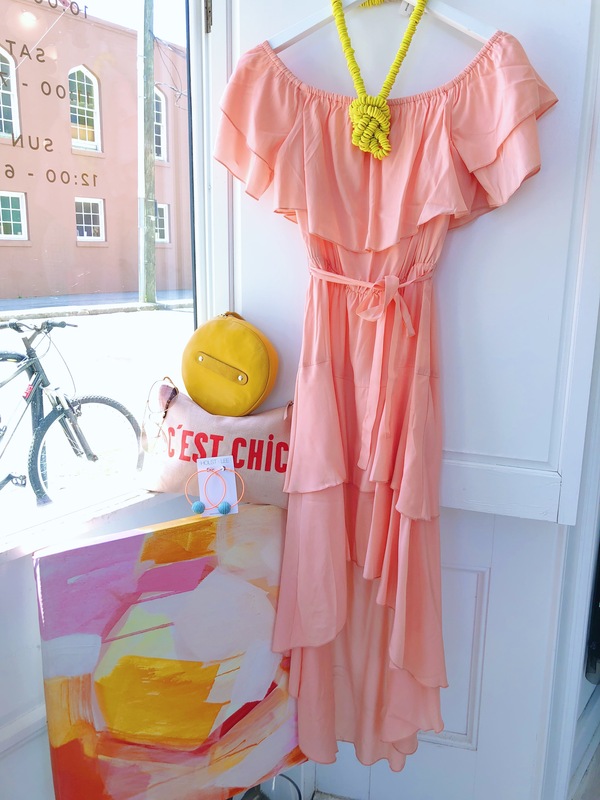 This lightweight silk Off The Shoulder dress is the perfect shade of peachy sorbet and paired with the electric lemon trade beads has us thirsty for a belini at a chic cabana soiree! But first, Brunch! Soludos has done it again with these clever little Mimosa Platform Smoking Slippers. 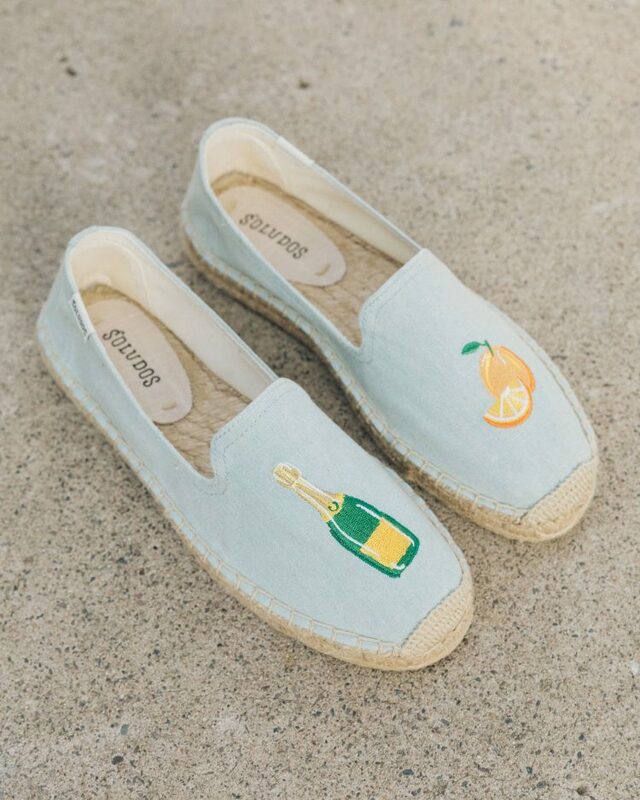 These are the perfect kicks to catch some major Sunday feels sipping fresh bubbly citrus. Who doesn’t want brighter, glowing skin? 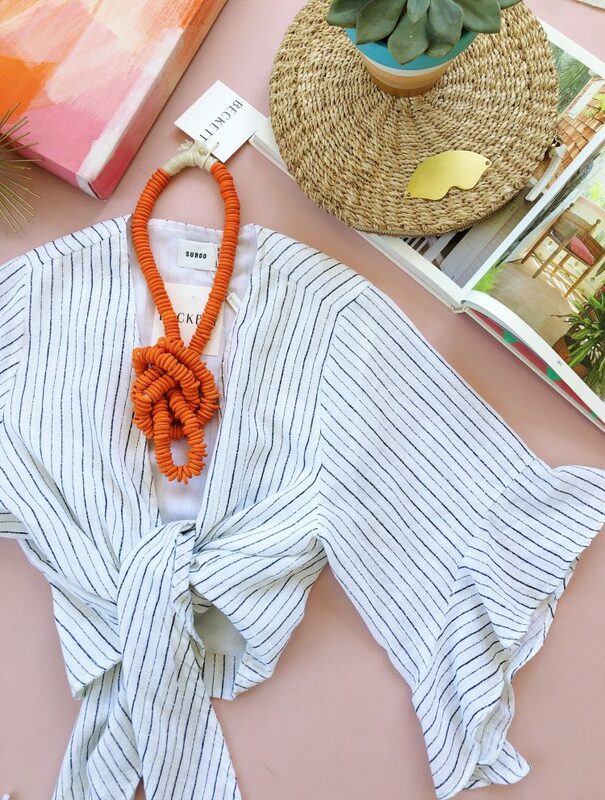 Sun-kissed skin looks amazing in pictures, but the summer months can do some major damage to your money- maker if you do not use high quality products (for more beauty tips, reads C’s latest blog post). 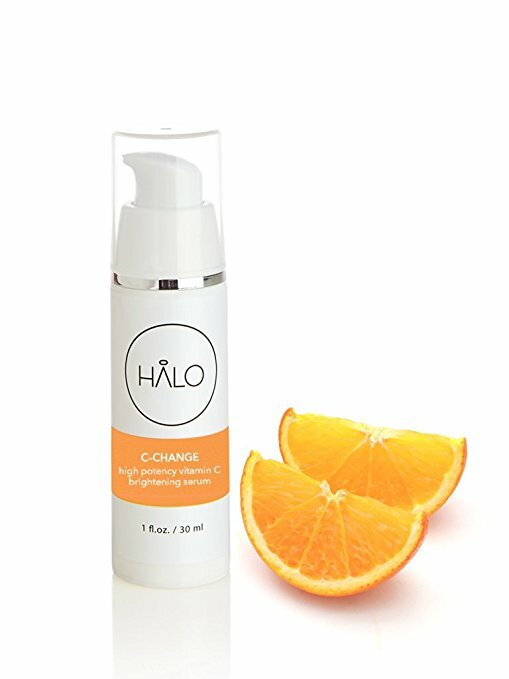 Packed with vitamin C, this Halo C-Change brightening serum (under $20) not only smells like fresh oranges, but leaves your skin feeling brighter and clearer. If you haven’t jumped on the Yellow train by now, then you are “so last season”. 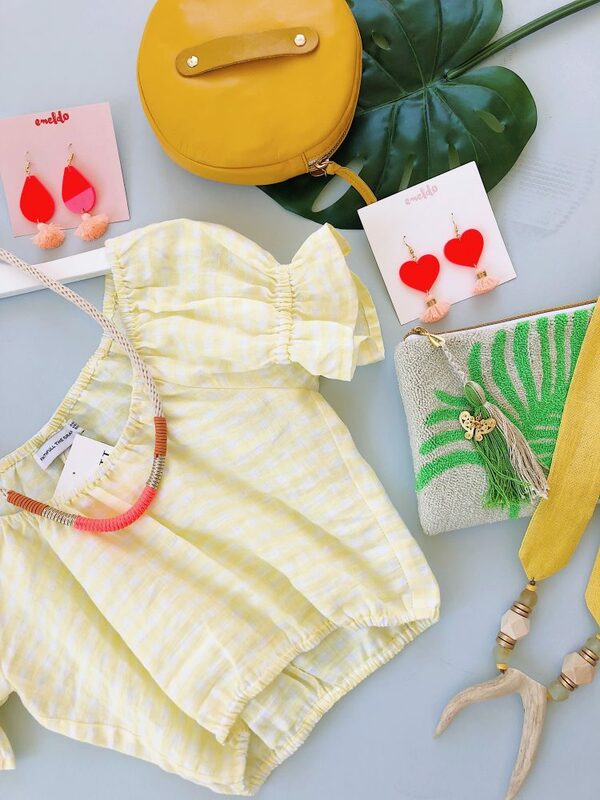 From clutches to statement necklaces, this sunny hue is popping up everywhere and we can’t get enough! Yellow can be a tricky face color, so take some time to find a shade that works with your skin tone. This Gingham Crop top is a Beckett best seller, and the soft pastel yellow is easy to wear and looks fab with a high waisted bottoms. Introducing this season’s MUST HAVE pool accessory. 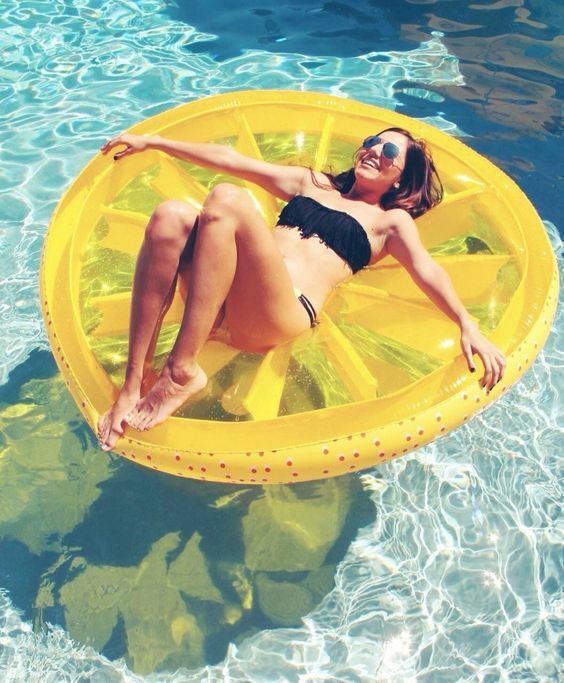 Lemons, limes, and oranges are destined to be floating in every posh pool in the Hamptons. Fruit slices aren’t just for cocktails this summer! Shop all three colors HERE. What sets off any look, can be worn 3 ways, and has a cult following? Our best selling Trade Beads are now available in Sunburnt Orange! Keeping in line with the fruit-tastic trends, this vibrant color gives any look a bright pop perfect for summer (call or DM for purchase). There’s something so “mid century chic” about drinking out of copper mug, right? 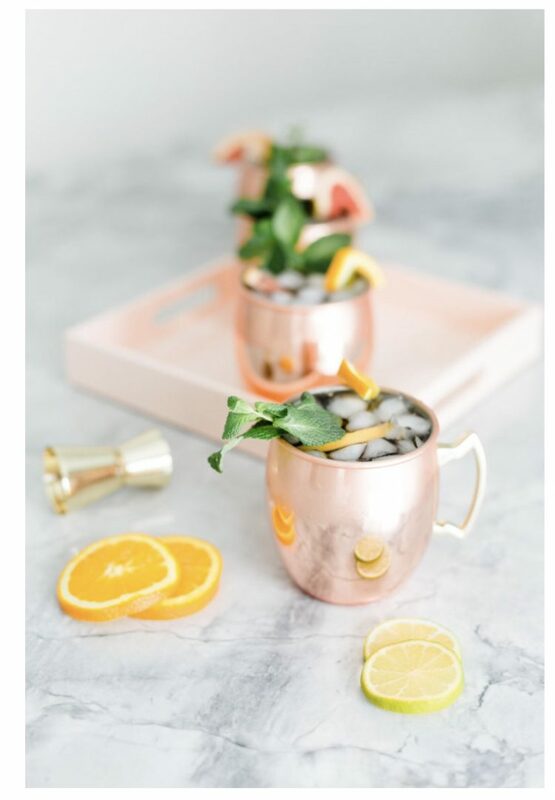 Move over Don Draper, this girly grapefruit infused Moscow Mule is taking center stage this season. Refreshing and with a citrus kick, this cocktail will definitely be served poolside all summer. Cheers! (Recipe here). Fruity fashion and citrus infused goodies are totally topping our trend charts this season. Life is short, SQUEEZE all you can out of it!